Once he had scorched the world. Lord of the Fading Lands finaled in the 2008 Georgia Romance Writers Published Maggies Award for Excellence in the Fantasy, Sci Fi, Futuristic category. Lord of the Fading Lands won the 2008 Desert Rose Golden Quill Award in the Fantasy, Sci Fi, Futuristic category. Lord of the Fading Lands won the 2008 Colorado Romance Writers Award of Excellence, Published Author Contest in the Paranormal/Time Travel/Fantasy/Futuristic category. Lord of the Fading Lands finaled in the 2008 Beacon Contest - Published Division in the Paranormal, Fantasy, Sci Fi category. Lord of the Fading Lands finaled in the Heart of Denver Romance Writers 2008 Aspen Gold Readers Choice Award in the paranormal category. Lord of the Fading Lands won the 2007 Wisconsin RWA's Write Touch Award in the Best Paranormal/Fantasy category. Lord of the Fading Lands won the 2007 Michelle Buonfiglio on Romance: B(u)y the Book at LifetimeTV.com Award for Best Paranormal Romance Debut. Lord of the Fading Lands won the 2007 ParaNormal Excellence Award for Best Debut Author in Romantic Literature(PEARL). Lord of the Fading Lands won the 2007 National Readers' Choice Award for Best First Book. Lord of the Fading Lands won the 2007 National Readers' Choice Award for Best Paranormal/Fantasy Romance. 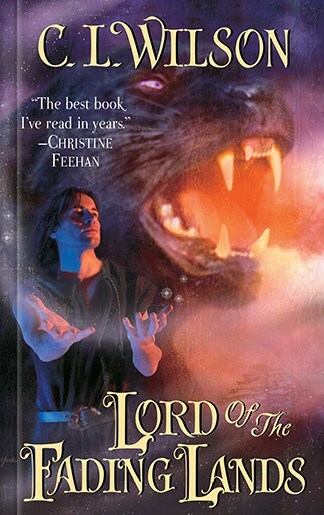 The Lord of the Fading Lands finaled in the 2007 ForeWord Magazine's Book of the Year in the Best Romance Novel category. Lord of the Fading Lands was awarded the 2007 Best Fantasy Romance Award by the reviewers at Romance Reviews Today. 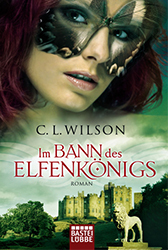 The German translation of Lord of the Fading Lands, retitled Im Bann des ElfenkÃ¶nigs (The Curse of the Elf King), is published by Bastei LÃ¼bbe (Bastei Verlag). It is available in both paperback and ebook editions.